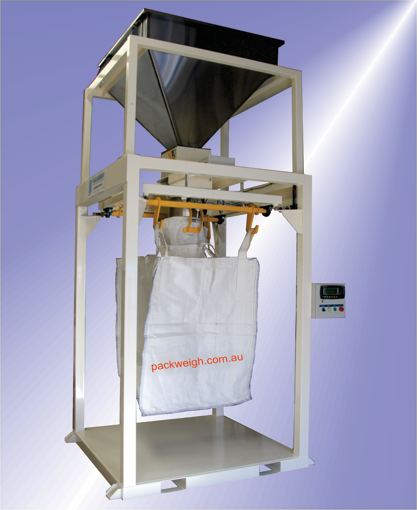 The Innobulk G is a bulk bag filling machine with an auto bag release. 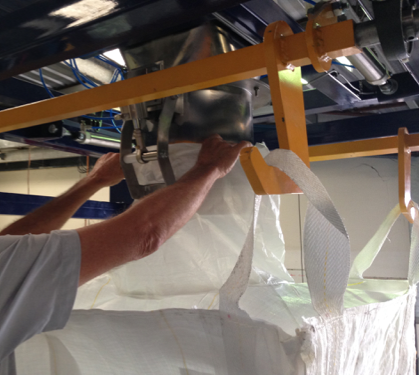 The Innobulk G system is designed for the operator to hang the bag & slide the neck of the bag onto the inflatable bag clamp for a dust tight seal. The bag hangs freely so the product fills the bottom corners evenly. Once the weighing is complete, a fork lift is used to place a pallet under the bag & raise the bag, when the weight is lifted the hooks will release the bag automatically.